Another rare label associated with Deutsche-Grammophon, Polyphon uses the same numbering as Hindenburg and Pagoda. 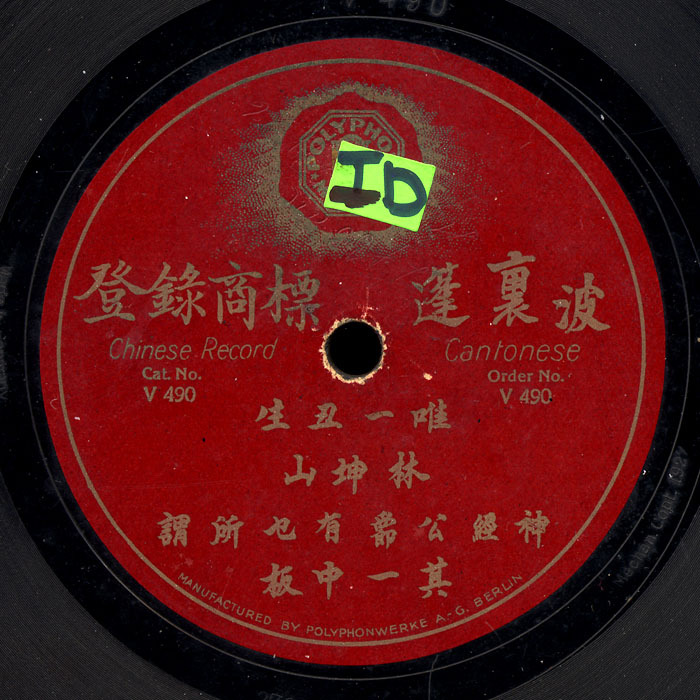 Gaisberg went to make over 300 hundred recordings in China. Nice stuff, with a nice “clash and bang” at the beginning! Sigh…Fred Gaisberg. Yeah, we owe him so much, but what a crank.